We’re back in Oman with the 2019 version of our Natural History and Contemporary Culture of Oman (a.k.a. Rock Music Oman) winter-break study program. It may be gray and wintery in Williamsburg, but the skies over Oman are blue and the temperature is close to perfect. Twenty-one intrepid William & Mary students left the States on New Year’s Day, and arrived in Oman on January 2nd. After a short night of rest, we were off to discover Muscat and the surrounding terrain. 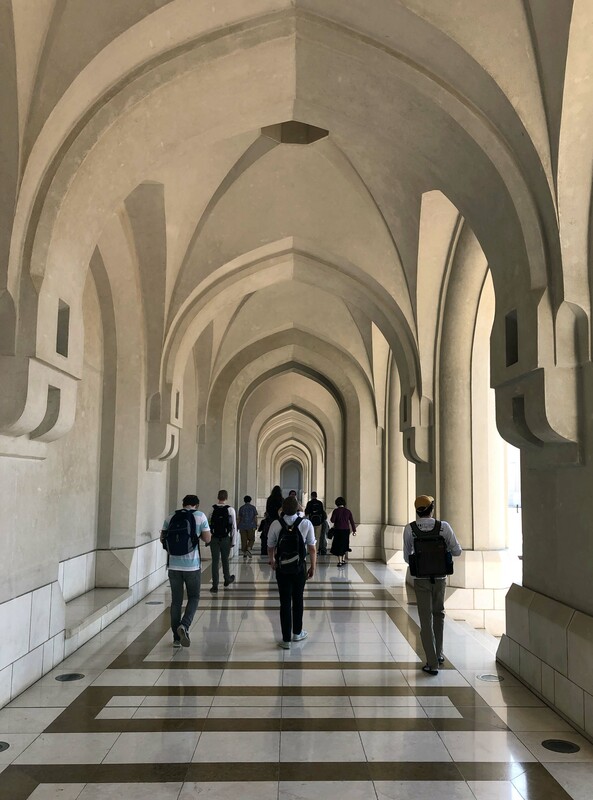 During the daylight hours of our first full day in Oman, we delved into the heart of Muscat with visits to the iconic Bait al Baranda Museum, Muttrah Souq, Al Alam Palace, and National Museum. When the sun set, we rolled onward into Seeb to join the Oud Hobbyist Association for a vibrant concert followed by a delicious dinner. 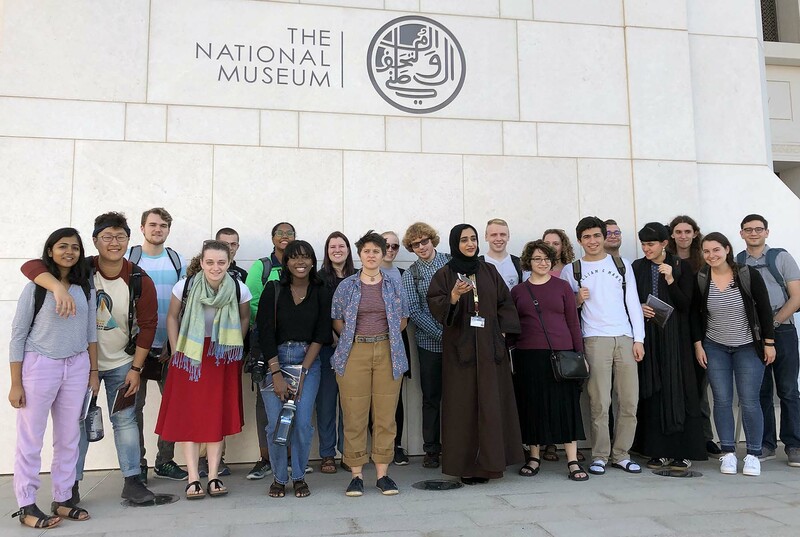 The 2019 Rock Music Oman class at the Oman National Museum with our capable and patient guide ‘Azza Mu‘aini (center). Friday, January 4th was a day of outdoor exploration as we traversed Wadi Mayh from the mountains to the sea. 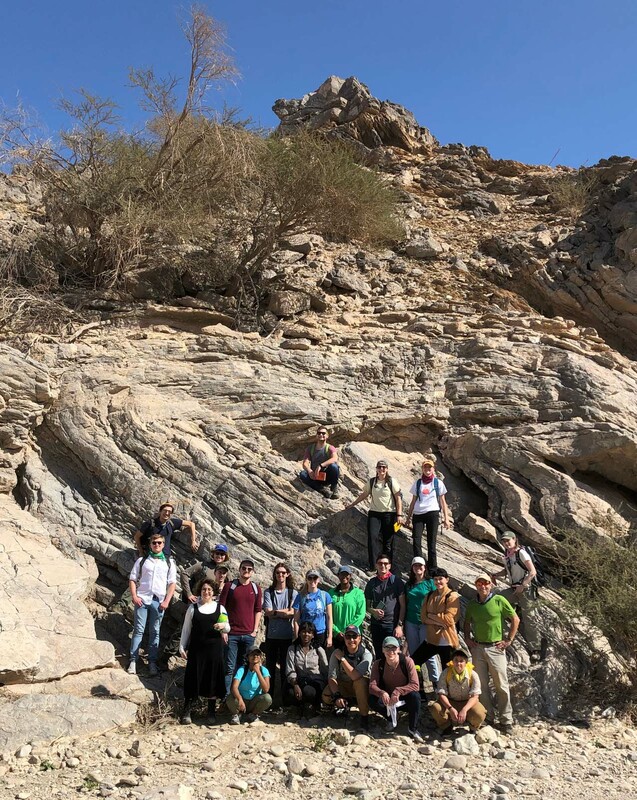 We began at outcrops of schist in the badlands of the Saih Hatat and finished on the sandy beach at Qantab, examining a large slice of Omani geology in just a few hours. Evening found us at Ambassador Ahmed Al Hinai’s house, where he and his family provided both a spectacular meal and splendid conversation (on topics as varied as the Khareef1, camels, international politics, and the Seattle real estate market). 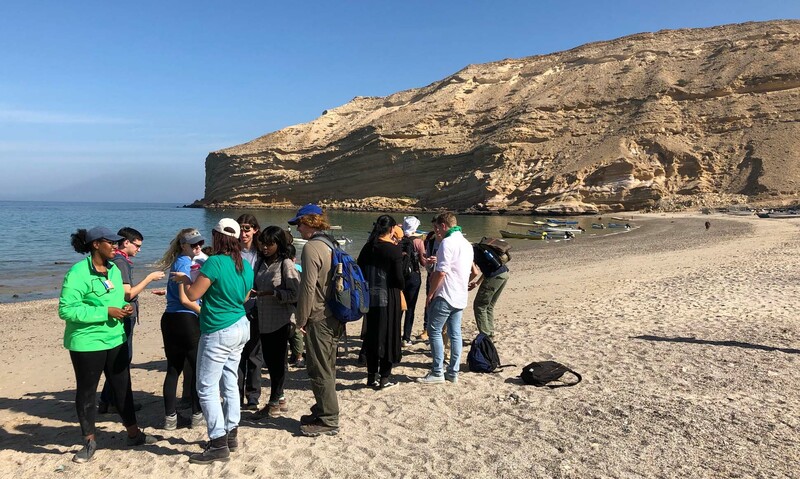 William & Mary students investigate the mysterious and magical sand on the beach at Qantab, Oman. It’s been a busy two days. 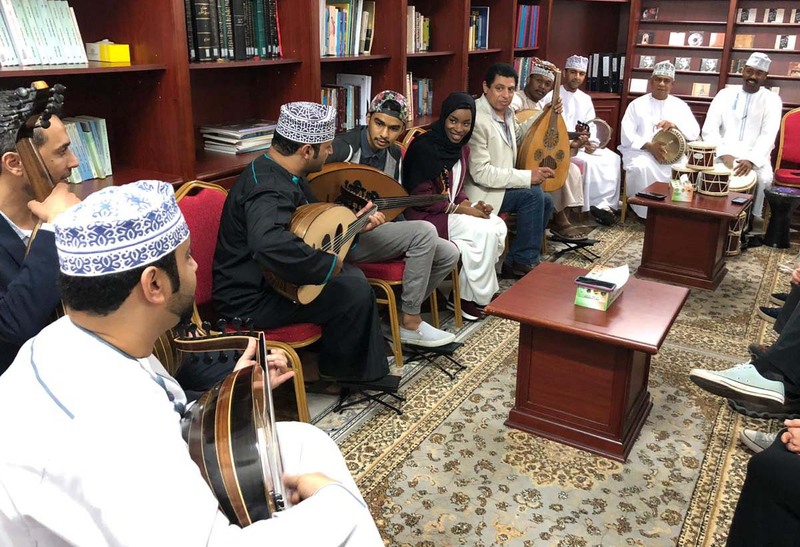 I’m stoked because we’ve got an academically diverse and engaged group of William & Mary students with us and Oman is, once again, demonstrating its warmth and amazing hospitality. Check out the pictures to see more of our adventures thus far. Traversing the colonnade at the Al Alam Palace complex. Music-making with the Oud Hobbyist’s Association (photo by Wael Kakish). 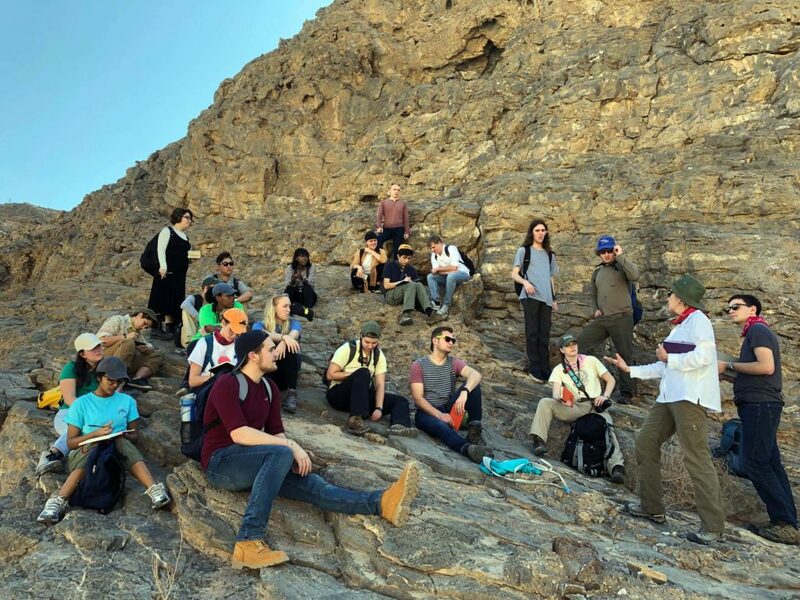 Professor Anne Rasmussen waxes lyrical about wadis with Permian limestone forming the back drop. A splendid asymmetric fold framing the 2019 Rock Music Oman class in Wadi Mayh. 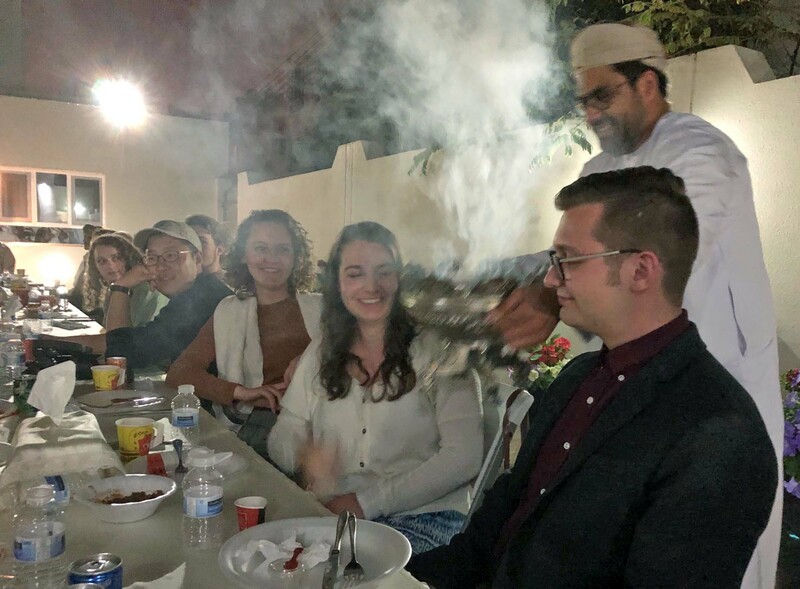 Dr. Sultan Al Farsi brings on the smoky and fragrant incense during our dinner at Ambassador Ahmed Al Hinai’s house. A rocking experience for hosts and visitors. Thanks for sharing. Spectacular photos of a beautiful country. 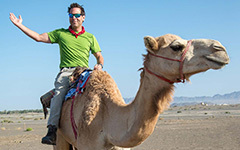 This is by far the best Study Abroad program in the Middle East. How can you top mixing study of geology with culture and music? Congratulations professors and students! Have a great onward journey. You are truly explorers. We’re so excited to be able to follow your adventures! Thank you for taking the time to tell us what you’re doing and seeing … and taking such amazing photos! All of us at the Reves Center are with you in spirit!